Spoiler-free Synopsis: The book chronicles the early life of Merlin, son of Taliesin, the greatest bard, and Charis, the Atlantean princess, from when he is a boy training to be a bard, to his growth into kingship, to his madness, and finally to his role as the legendary prophet of Britain. Reason for Beginning: I liked much of what Lawhead did in the first book, Taliesin, especially regarding his treatments of Christianity and paganism. Reason for Finishing: It’s a better book than Taliesin; better paced, more focused, with some better writing. It captured my interest as a good book should; particularly the character of Merlin himself intrigued me. Story Re-readability: Its length and density is a small hindrance to re-reading, and I’m not sure if the book requires it. Still, the story is interesting and detailed enough that I could see myself returning to it after some years. Author Re-readability: Indeed, I’m very interested in reading all else Lawhead has written. While not a truly masterful writer, he is strong, capable of eloquence while usually not overreaching himself, and often giving his landscapes texture and his characters relatable emotions. His weakness is still a tendency towards melodrama, but that is much lessened in this book compared to Taliesin. Recommendation: I highly recommend the Pendragon Cycle for everyone interested in Arthurian legend. And while Taliesin worked only as a sort of prologue to the larger cycle, I actually think that Merlin could be read as a stand-alone, as long as you are familiar with the larger Arthurian legends. It has a clear character arc, and a satisfying, yet open, conclusion. Lawhead’s focus in this book is the life of the wondrous man Merlin (or Myrddin, or Myrddin Ambrosius, or Emrys) from his childhood to his protection of the infant Arthur and his creating of the Sword in the Stone. How many years this includes is unclear because Merlin ages more slowly than normal men; still, I estimate that the whole story spans roughly an old man’s lifetime. As such, it has a sprawling, sauntering feel to it that some readers may not like. There is not one clear-cut plot in the normal sense, but rather a clear theme that carries through myriad events, and which we know will only culminate in the final book of the series. Personally, I don’t mind this. The theme (of a united British kingdom that is peaceful, just, and God-glorifying, referred to as the Kingdom of Summer) and Merlin’s character arc are strong enough to hold everything together. As in Taliesin, our protagonist goes through a series of extreme character developments: from optimistic, powerful, and wise young king to raving, heartbroken hermit to solemn, mature, and fearless prophet. Merlin’s transformations are handled better, I think, than Charis’ were in the previous book. We see deeper into his mind and soul, and we better understand the forces that shape him. While occasionally I questioned whether a person with such an obviously strong and genuine relationship with Christ could pass into such extreme despair and near-madness, this probably reflects more on my own sheltered life than on anything unbelievable in the narrative. I believed the changes Merlin goes through, and I sympathized with him, and was glad to see him strong again. The great robe of mystique that hangs about Merlin can make it difficult to portray his inner thoughts and emotions convincingly. In literary and media portrayals, Merlin tends to work best when partially hidden from us; when his motives aren’t completely clear, when the source of his power is vague, when his youth is full of myths, when his origin is unknowably ancient and remote. If you want to get more personal with him, you often risk spoiling the mystery, or welcome the spoiling and delve headfirst into comedy. Lawhead manages this difficult task admirably. He reveals most of the mysterious details surrounding Merlin in a way that makes perfect sense yet remains dramatic, while Merlin himself remains an enigma to all the other characters. We know Merlin’s Atlantean-Welsh parentage, although those of us with good memories will recall that his father’s own parentage remains an unsolved mystery. We know the woman he fell deeply in love with and how the loss of her drove him mad. We know that some of his magical feats are spells he learned from the mystical Hill Folk, but we do not know the true nature of their magic. We know that other magical feats he has seemed to perform have been acts of God (much like the Old Testament prophets), either in response to his faith or merely as a necessary part of God’s plan, but, like Merlin himself, we do not fully understand God’s plans. Rather, we understand why Merlin has faith in God. It’s not a perfect faith; there are many times that he doubts God and suffers from the temptations to act according to the dictates of his flesh. But he is ultimately a man of faith, who trusts God because he knows Him personally and has experienced His power to heal, save, and correct. This faith is, for me, easily the most attractive element of Lawhead’s book. Other portrayals of Merlin, going back to many medieval stories, seem to have him largely pagan or straddling an uncomfortable line between paganism and Christianity. It always seemed odd for this paragon of nature-worshipping druidism to be so supportive of the very Christian King Arthur. So Lawhead makes Merlin very solidly Christian, too. But at the same time as he gives Merlin strong Christian mentors, he also gives him a few druidic ones. These few druids—primarily Chief Druid Hafgan—are coming slowly to accept the gospel of Christ, but still retain many of their ancient traditions. In fact, through the light of the gospel they are coming to better understand the old Celtic religions as shadows of it, with a truth that is incomplete but still unique and valuable. This idea, as I mentioned in my review of Taliesin, is much like what Tolkien, Lewis, and MacDonald wrote about when they gave respect to pagan mythologies. Lawhead isn’t excusing paganism or saying that such religions are alternate ways to God, but rather he is saying that God is not limited by the misunderstandings of men and will find ways to become known even by men who know nothing of His revealed gospel or Scriptures. 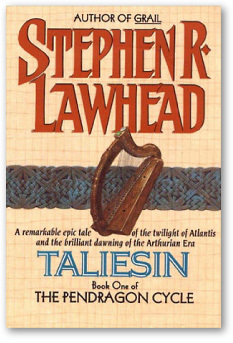 While reading Lawhead’s previous book, Taliesin, I felt that the scenes taking place in Wales were more interesting than those set in Atlantis; this feeling is confirmed by my satisfaction with Merlin, which takes place entirely in Roman and post-Roman Britain and benefits greatly from the rich texture of that setting. 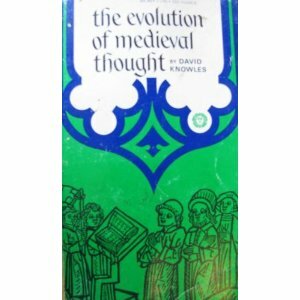 Admitting that I am still an amateur medievalist and classicist, I think that the research put into this book is excellent and well used. He does not info-dump, but rather has done a huge amount of work to integrate various elements of history and legend into the story he chose to tell. Some of our friends from the previous book return, all in good form, though few in prominence. Of the new characters, I was most intrigued by Ganieda, Aurelius, and Uther. Ganieda is the wild, beautiful chieftain’s daughter who becomes Merlin’s best friend, lover, and wife, for a brief but blissful time. I really grew to like her in the relatively short time she appeared in the story. Though I understand why she couldn’t remain a part of Merlin’s life (can’t have a happily married Merlin advising Arthur, now can we? ), I liked her enough that I wished she had remained. Aurelius and Uther are the legendary uncle and father of King Arthur, though neither lives to know it. 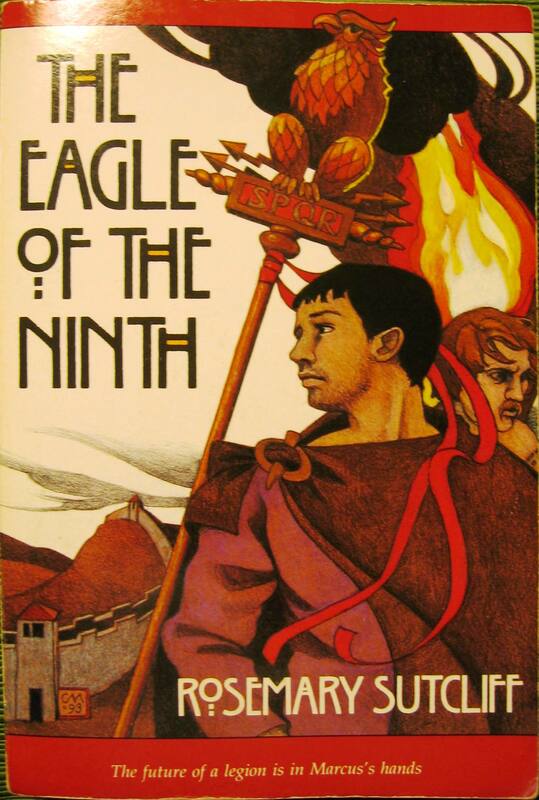 Aurelius interested me the most, because in Rosemary Sutcliff’s The Lantern Bearers and Sword at Sunset, where he is called Ambrosius Aurelianus, he became one of my favorite characters in all of fiction. 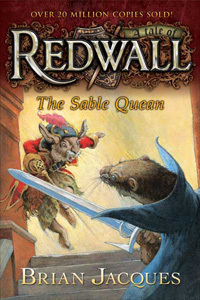 In Lawhead he is neither as prominent nor as impressive as in Sutcliff, but he still emerges as a likeable and charismatic figure, wise for his young years but passionate with idealism. Utha is mostly like his legendary reputation: rash, somewhat brutish, harsh, and not well-loved. In fact, Lawhead breaks with tradition to assign Aurelius as Arthur’s actual father, with Uther assuming the role in the public’s mind due to a series of careful secrets kept by Merlin. He does this, clearly, to explain away the gulf between the legendary personality of Arthur with that of his father. Still, Lawhead’s Uther isn’t without his redeeming qualities. I like how his love for his elder brother is a really positive influence on him. Uther is rash and full of anger, but also no fool. He recognizes wisdom even when he doesn’t like it. He usually listens to Merlin even though he doesn’t like him. He still is ultimately a failure as a High King, but a much more complex, interesting, and, in an odd way, admirable figure than in many other portrayals. The map of post-Roman Britain at the beginning is very useful for following Merlin’s travels and making sense of the political and wartime intrigues. Similarly, the pronunciation guide should serve to eliminate the most grossly inaccurate soundings of Welsh names. I think less of the poem that precedes the story and that of Taliesin. It reads like a competent rip-off of J.R.R. Tolkien’s “ring poem” (or, if you are in a more comical mood, an epic version of “The Twelve Days of Christmas”) which is to say that it isn’t bad so much as lacking an identity of its own. I also cannot yet see a real reason for it existing. Perhaps it will appear in later books and gain more meaning? Merlin is an improvement on Taliesin, and a worthy continuation of the Pendragon Cycle. I recommend it. 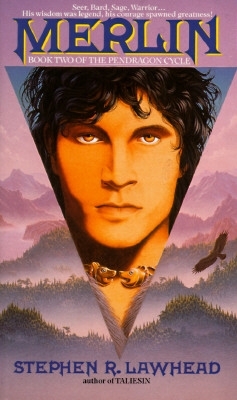 Another series which also does an excellent job portraying Merlin’s youth is The Lost Years of Merlin by T.A. Barron. 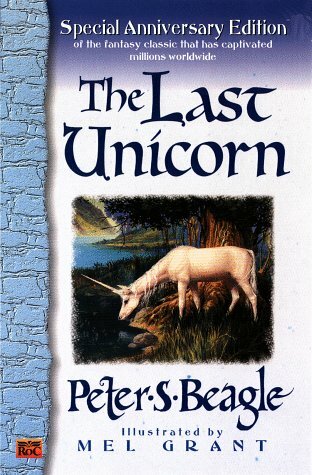 Written for a younger audience, it eschews the historical trappings of Lawhead for the fantastical island of Fincayra, the Otherworld, where a blind teenage Merlin sojourns to discover his powers and morals. It sounds stupid when I write it like that, but the series is actually very good. Reason for Beginning: Arthurian fiction! Plus I’d heard of it before and just wanted to try it out. Reason for Finishing: Good book! Story Re-readability: Maybe a couple years from now. I’m more interested in getting to the other books in the series than in rereading this. But since it seems that a lot of little things are being set up that will have huge payoffs later on, maybe when I’m done with the series it would be neat to reread Taliesin and understand more of them. Author Re-readability: Yeah, I like Lawhead’s style, for the most part. 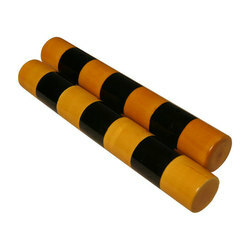 It’s straightforward, detail-driven in most of the right ways, and fairly textured and colorful. Lawhead doesn’t reach the level of sharpness and poetry of someone like Guy Gavriel Kay, nor the mythic resonance of J.R.R. Tolkien, nor the textured grace of Rosemary Sutcliff (though he tries). At worst he can skirt the edge of purple prose in a way that brings you out of the story a little bit. His handling of especially dramatic character arcs is a bit rocky. But most of the time his writing style works well for the story he is telling. His integration of historical research is top-notch. He’s written a bunch of other books on topics ranging from Robin Hood to St. Patrick, and even some urban fantasy ones, apparently, and I definitely want to try them all.